Join your friends at Greater Columbus Right to Life for a special screening of UNPLANNED. Until the day she saw something that changed everything, leading Abby Johnson to join her former enemies at 40 Days For Life. Greater Columbus Right to Life is pleased to make this special showing of UNPLANNED available in coordination with 40 Days for Life. There is no cost to attend the showing, but there are a limited number of tickets available, so if you learn that you will be unable to attend, please let us know as soon as possible. Even though you are not buying the tickets, our sponsors are; please be respectful of their gift! - This film has been rated R by the MPAA. Please use discretion when bringing your children. No children under the age of 17 will be admitted without a parent or gaurdian. 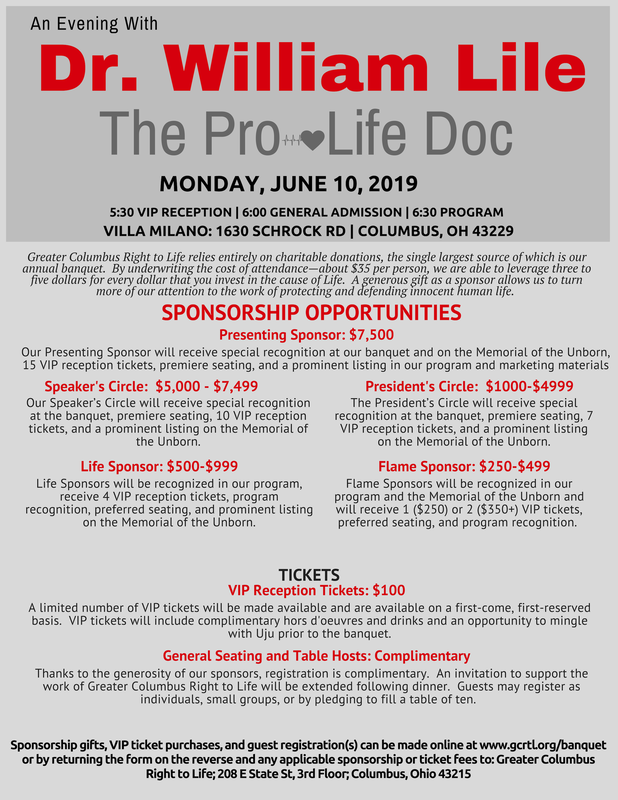 - This is a special showing for friends of Greater Columbus Right to Life. Anyone reserving tickets in a fraudulent way or with intent to disrupt will be removed from the event and/or reported to the authorities. - You will be asked to check in and register before entering the theater. Those who do not check-in will be marked as no-shows, and no-shows may be ineligible to attend a similar event in the future. - You will not need a printed copy of your ticket; we will have a list and check you off. - Please look at your email for information on where to go at Easton on 3/27. - While there is no cost to attend, you may make a donation in support of our work during the check-out process. Donations of any amount are incredibly helpful and allow us to sustain our operations and spend less time fundraising. If you would like to make a sponsorship level donation, the parameters of our theater buyout do not allow us to include recognition at the event. However, we will apply any sponsorship for recognition at our June 10th Banquet. You can learn more about those levels here.